Want utility without endangering the design integrity of your Prairie-style contemporary home? Consider today's efficient, durable roll-up doors that open and close efficiently in panels and sections. 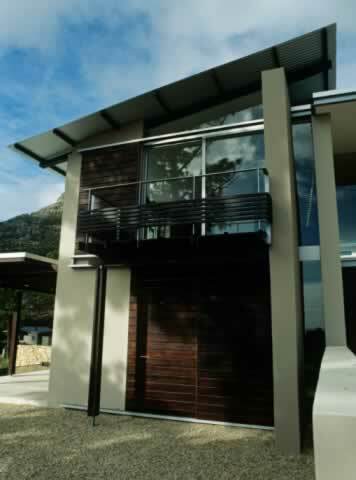 Fiberglass roll-up doors come in a dazzling range of colors to suit your style and are resistant to rot and corrosion. Wood roll-up doors are more expensive to install and maintain, but some homeowners prefer their appearance. Steel roll-up doors offer greater security than wood or fiberglass doors, although paint choices may be limited. Fiberglass roll-up doors may offer the widest range of options when it comes to color and ease of maintenance. No matter your choice in materials, you'll love the ease of operation in modern roll-up doors that won't cramp your style.